While the kids were playing in the sun I've developed another project using the PureMVC micro architecture and my favorite IoC container SpringActionscript. 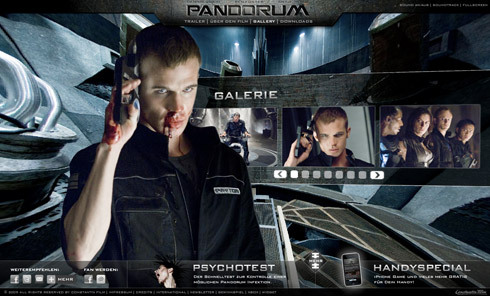 It's the microsite for Constantin Film's new Scifi-Horror movie Padorum. I used Papervision3D for the background animations, gallery etc. 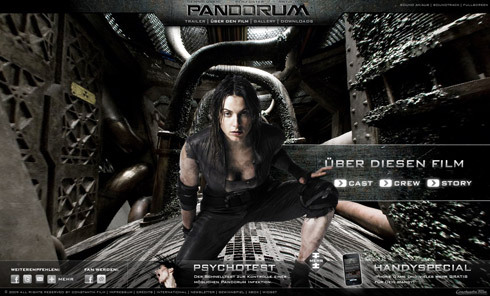 check out the fullscreen mode - looks nice! 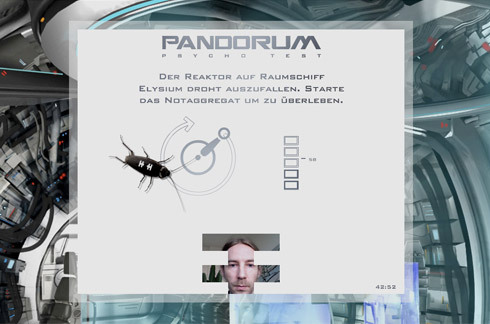 Additionally we created a Flash module that also runs on the Pandorum Facebook page called Psychotest. While the user has to pass a shocking test including tiny games his image is captured. 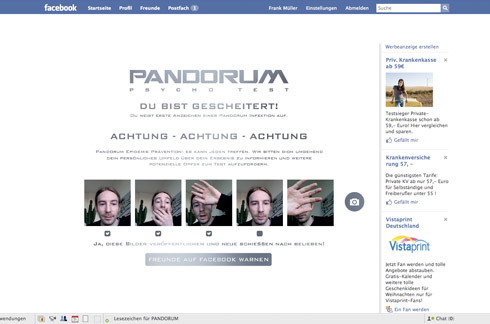 At the end he's able to post his more or less crazy images on his Facebook page and share thoughts about the movie.